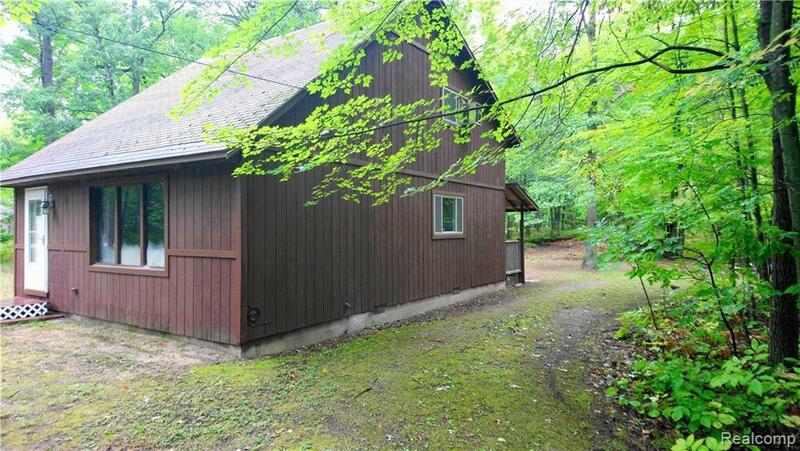 Sandy lake access cottage on nearly one acre wooded lot. Located between Caseville and Port Austin. Large vaulted great room and dinning area. Master bedroom on first floor and open loft floor plan for additional beds. Short walk to private (deeded) lake access. Cottage is finished with knotty pine ceilings and trim for a cabin feel. Copyright 2019 Realcomp II Ltd. Shareholders. Real estate listings held by brokerages other than The Mulvihill Group | Real Estate One are marked with the Realcomp-approved IDX logo and are provided through IDX through Realcomp II Ltd. IDX information is provided exclusively for the consumers' personal, non-commercial use and may not be used for any purpose other than to identify prospective properties consumers may be interested in purchasing. Any use of search facilities of data on the site, other than by a consumer looking to purchase real estate, is prohibited. The accuracy of all information, regardless of source, is not guaranteed or warranted. All information should be independently verified. Data last updated: 2019-04-22T09:56:37.763.